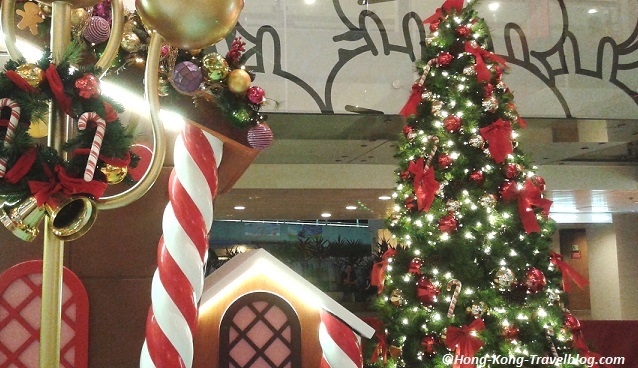 Celebrating Christmas in Hong Kong and planning what to do with your family and friends? We have collected the Top 10 Hong Kong Christmas events for you, including Hong Kong Christmas market and Christmas carnival Hong Kong. Here we go! Hong Kong Winterfest is held by the Hong Kong Tourism Board every Christmas in Hong Kong. This year, BVLGARI brings you Italian Christmas with sparkling Serpenti lights, blinking Christmas trees, BVLGARI constellation background and the Condotti Avenue. You can also enjoy a cup of hot chocolate, colorful traditional Italian sweets Confetti, as well as share photos and wishes with your loved ones! Hong Kong Pulse 3D Light Show combined 3D projection technology with music and lighting effects. Hong Kong Cultural Centre and the Clock Tower will turn into the backdrop of this multimedia extravaganza. Udderbelly Festival Hong Kong provides you with exciting circus, dance, music, beat -boxing and family shows, as well as comedy and cabaret. There are some of the very best shows and artists from London, Australia, the Edinburgh Fringe and Hong Kong. Cirque Adrenaline Hong Kong includes traditional circus, clowns, trapeze artists, motorcyclists and complex aerial stunts. Performed in Sydney Opera House, the troupe is composed of more than 50 well-known performers which won’t make you disappointed. Being one of the largest family entertainment and tourist attractions during the festive seasons, the Great European Carnival Hong Kong provides you with rides, games, attractions and entertainment in the European theme at our stunning harbourfront. The Tung Wah Charity Carnival features a new generation sci-fi theme, with a collection of the latest world-class rides and games, circus performance, family entertainment areas, performing arts area and food courts. It is suitable for thrill seekers as well as the whole family. Part of the proceeds will go to Tung Wah Group of Hospitals to support the services for children, youth and low income families. Missing the Christmas market in your home country? Perhaps the one in Hyde Park. How about visiting Hong Kong Christmas market? Stanley Plaza Christmas Seaside Market, in German style, has more than 80 stalls selling traditional German Christmas presents, exquisite handicrafts and delicious food and beverages. The event is supported by the German Consulate General in Hong Kong and the German Chamber of Commerce. Hong Kong Food Festival is one of the largest indoor food festivals in Hong Kong. This year, the festival has 10 theme zones showcasing distinct food culture around the world. It is a great place for food lovers! In the Hong Kong Mega Showcase, you can find everything from housewares, electronics, motor accessories to luxury cars. It is a good fit for shopaholic. Hong Kong Brands and Products Expo has been one of the largest outdoor fair in Hong Kong since 1938, featuring the election of Miss Hong Kong Brands and Products Expo, selling discounted kitchenware, electrical appliances and food including Hong Kong street food! Okay, that’s it. Hope that you have made up your mind about where to go. Don’t forget to send gift cards to your loved ones, and share your favourite Hong Kong Christmas events with us! 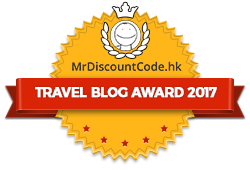 Want to get free newsletter and updates from Hong Kong Travel Guide in your inbox, simply sign up at the right-handed sidebar. Feel free to contact us if you have any questions or comments. Thank you for reading this post. Please like us on Facebook and share the post with your family and friends! Wish you a warm and wonderful Christmas as well as a happy new year!